New Zealand Natural Malaysia has just added a new ice cream flavour onto their broad menu of desserts – the Pecan Praline Crunch, an ice cream filled with bits of pecan nuts and caramel fudge. And for a limited time, the international franchise will be offering two different whole desserts with the new ice cream flavour as their main ingredient. I was privileged to have a taste of them before their official launch. 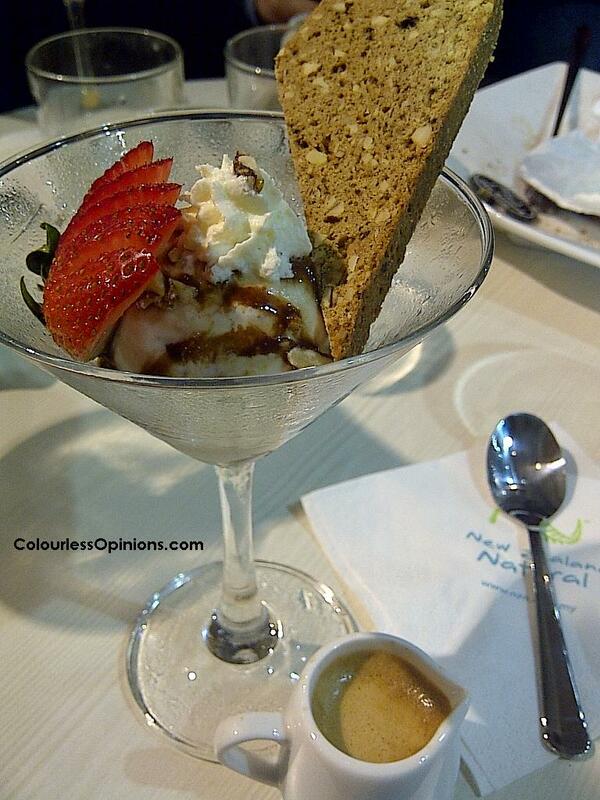 The Pecan Praline Crunch Cookie Sundae, priced at RM12.90, is definitely for those who love extremely sweet desserts. It comes with a chocolate cookie, a little whipped cream, a quarter of a strawberry, ice cream cone biscuit and of course, the Pecan Praline Crunch. I wish I could say I love it but the cookie’s strong taste kinda overwhelms the taste of the ice cream. And also because of this, I didn’t really get to try how the new ice cream flavour actually tastes on its own. The other problem with it is that the cookie, although it’s the non-crunchy type and absolutely delicious, is not convenient to be scooped up along with the ice cream because it’s never meant to be eaten using a spoon to be begin with. Perhaps I should’ve taken the dessert by eating the cookie and ice cream separately? But that would’ve defeated its purpose. off the caramel and overwhelm the taste of the ice cream if not carefully taken. As a middle class commoner, I think this is quite a poor combination of items for a dessert. With that being said, I think I enjoyed the Cookie Sundae more than the Affogato. It would’ve been better if I had taken the ice cream first and then cookie after. 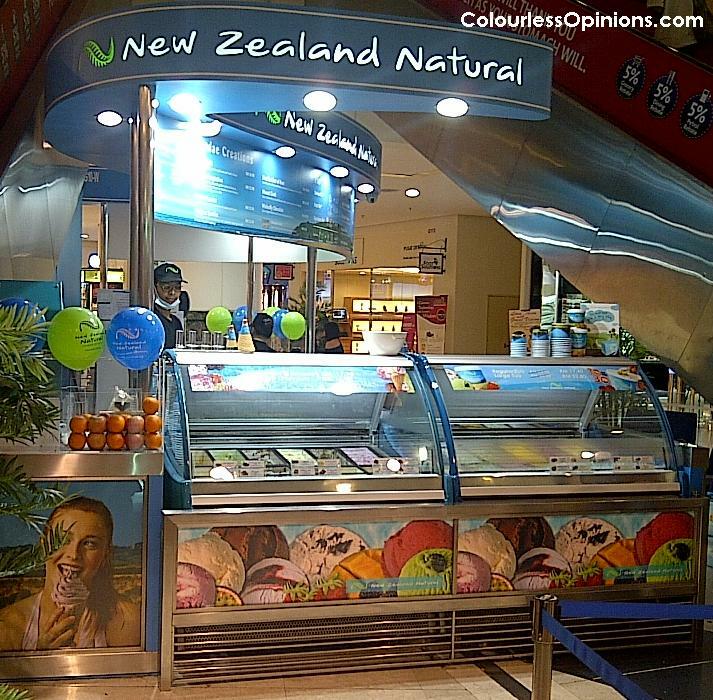 New Zealand Natural have been around in Malaysia for 9 years now but have not been a topic from lips as much as their competitors. 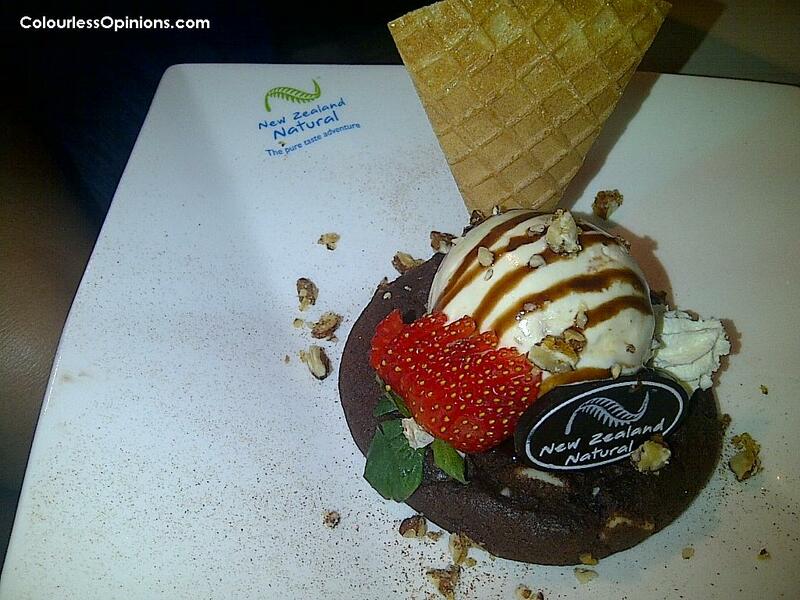 Perhaps now’s the time since local consumers are more willingly to spend around RM10 for desserts these days. After getting to try almost all of their ice cream and yogurt flavours on that day, I have concluded that the Durian Divine and the Lemon & Lime as my personal favourites. love this ice cream! 😀 i wanna go try the new one!! syok nye if i get this now!! ice creams are perfect for our current crazy hot spell! Hmmm not a big fan of sweet food… prefer salty more LOL! If I remember correctly, I think I had this at KLCC…somewhere near Aquaria entrance…or some place else. The cookie is bigger than the icecream itself 😛 Never tried their icecream before though. I ate before 5 years back once before. 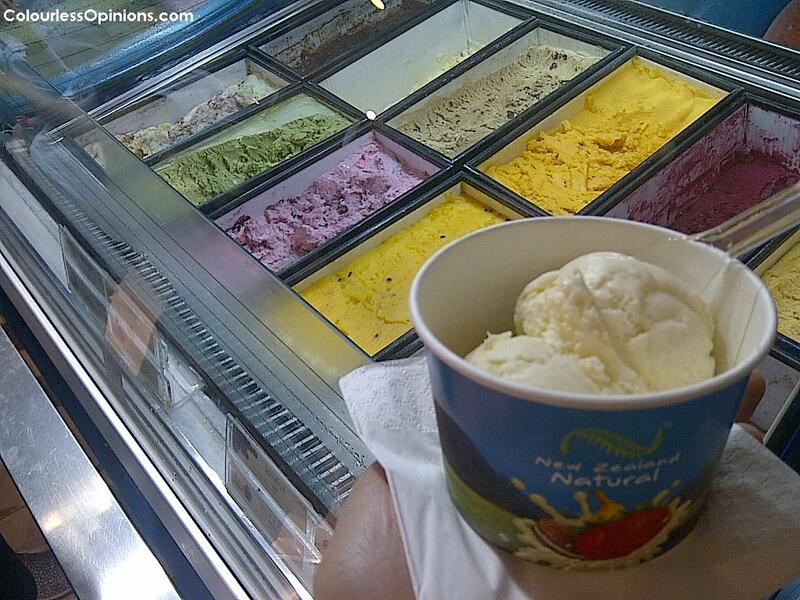 A single scoop cost me RM7.90 lolz..